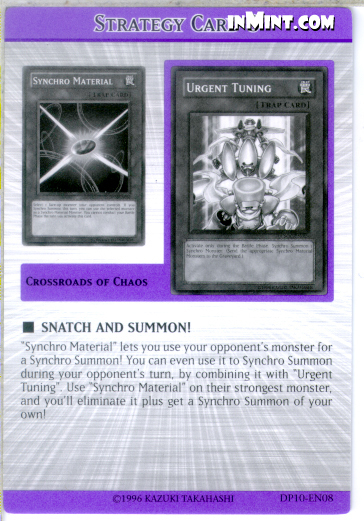 "Synchro Material" lets you use your opponent's monster for a Synchro Summon! You can even use it to Synchro Summon during your opponent's turn, by combining it with "Urgent Tuning". Use "Synchro Material" on their strongest monster, and you'll eliminate it plus get a Synchro Summon of your own!